As international marriages rose in Japan in recent years, the number of bicultural families increased, and many children of such families are being raised to speak the languages of both parents. American Mary Nobuoka, director of the Bilingualism Special Interest Group (B-SIG) and parent of a bicultural son, devotes much of her time and energy to helping other families in their journey of language and discovery. An associate professor at Mejiro University, Nobuoka became the director of B-SIG in 2011. The group began in 1991 as an offshoot of the Japan Association of Language Teaching, since many JALT members are foreign nationals who have settled in Japan. A common interest in raising children to speak both Japanese and another language drew people together, and the group also fosters research in areas of bilingualism and multiculturalism. Nobuoka notes that while interest in bilingualism for children is rising in Japan, it is still a struggle for parents. “A lot of people assume that it is just a natural process to learn two languages in a bilingual home. And in some countries it is, since the community supports that. But Japan is still such a monolingual society that parents really have to make an effort.” B-SIG, she says, aims to help make things a little easier. “Anybody is welcome to join the B-SIG online community. 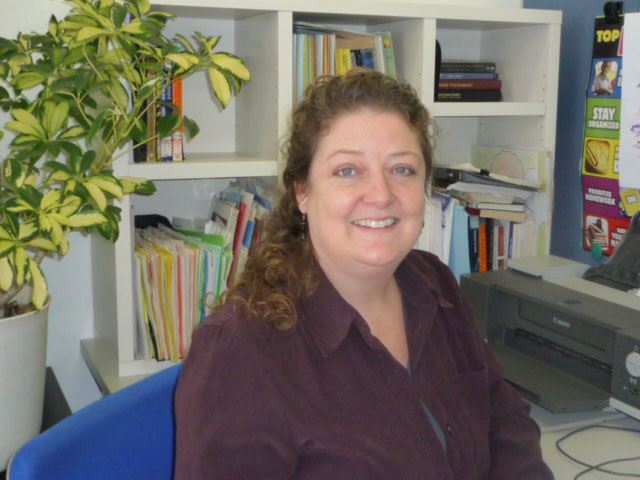 You don’t have to be a member of JALT, a teacher or a native speaker of English,” she explains. Members include returnee Japanese families who want to maintain their children’s English ability, as well as families where both parents are foreign nationals but with children in the Japanese educational system. B-SIG publishes the Bilingual Japan newsletter, which is sent to subscribers three times a year. “It covers everything from academic research on bilingualism to case studies from parents writing about their own children, to information on new websites and other resources.” A number of monographs on various aspects of bilingualism have also been published and most of these are still in print. Growing up in Massachusetts, a young Nobuoka never expected to carve out a career in education. Her first love was art and she went on to specialize in painting for her fine arts degree at the University of Illinois. She was practical enough to realize, however, that it would be hard to make a living through her art, and after seven years in a “dead-end job” in the financial sector she turned her attention to the overseas job market. Although the eikaiwa (English conversation) teaching business has come in for some bad publicity in recent years, she notes that her experience was extremely positive when she arrived in the mid-1990s. “I received good training and everything was very well run. It was a great place to begin. I came here to get some work experience and for the chance to be abroad, and in the process, I found my vocation.” It also led to marriage, after meeting her future partner at the school. Nobuoka later moved into high school teaching and then, after completing a master’s degree through a distance-learning program, gained her current position at Mejiro University in the mid-2000s. Between English classes and her volunteer activities for B-SIG, she writes English study materials and does narration work. 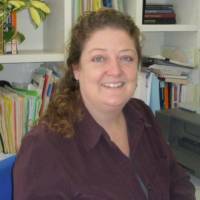 The birth of her son 10 years ago was the catalyst for some serious research on bilingual education, leading to her involvement with B-SIG. She also arranged her work schedule so she could spend ample time with her infant son, sharing parenting duties with her husband. Nobuoka joined an established playgroup for expat families when her child was a toddler, and then later joined forces with two friends to set up a preschool English group to support her son’s burgeoning literacy. The time and the energy required to both motivate parents to get more involved and to prepare lessons to engage the children proved to be all-consuming. It was time to move on. While this group, Yoyogi Chapters, is still being run as a parental cooperative, the key difference for Nobuoka was that professional teachers are hired to teach the children reading and writing. Freed from the burden of planning the lessons and activities, the parents only need to take care of more mundane tasks, such as booking the community center, arranging the lesson schedule and collecting payment. According to Nobuoka, hiring outside teachers for a Saturday school can be the best of both worlds for families. “You can pay a teacher a reasonable salary and still keep the classes very affordable — definitely cheaper than a regular eikaiwa school. And it is much easier to get your child to work on English at home if the teacher has given them assignments.” At the same time, parents can liaise with the teacher about the content of the lessons, as well as determine the criteria for who is eligible to join the Saturday school. Due to demand from parents with younger children, an extra class was soon added at Yoyogi Chapters and Nobuoka offered to be the substitute teacher for occasions when the regular teacher couldn’t make it. “Through this, I found out how much I love working with small children,” she enthuses. The success of Yoyogi Chapters had led to the same model being used to set up a Saturday school in the Sakuragicho area in Yokohama. When the leaders approached Yoyogi Chapters for information and tips, Nobuoka offered to share her knowledge and she soon found herself signing on as the regular teacher for SILC (Sakuragicho International Literacy Cooperative). Her Saturday mornings are now filled to the brim as she teaches reading and writing to three classes, ranging from preschoolers to upper elementary school-aged students. She stresses that one English literacy class a week is not enough to ensure a fluent reader and writer, and that time spent working at home with a parent is still very important. “It’s a partnership between parent and teacher. I inspire and motivate the kids to do the homework assignments with their parents. And I do give a lot of homework,” she adds with a chuckle. Recently, Nobuoka has extended her activities to offer Japanese children in her community the chance to hear stories in English. “With my work schedule I couldn’t really commit to PTA activities at my son’s elementary school, but I’ve been going in to read to the children in English since he was in first grade.” Encouraged by the enthusiastic response from the school, she offered her services to the local library and now conducts bimonthly story time sessions. Never one to rest on her laurels, Nobuoka is now working on developing B-SIG’s outreach activities. Prompted by requests from various parenting groups, she has given lectures on raising children bilingually. She hopes to facilitate more opportunities for events where parents can meet and make face-to-face connections, and offer further topics as time goes on. Another area of concern for Nobuoka is how best to meet the needs of people in less-populated areas of Japan, where it is harder to meet up with other bilingual families. She also mentions a small but notable increase among families using three languages in the home. For more information on the Bilingualism Special Interest Group, visit www.bsig.org. On Yoyogi Chapters (the Saturday school in central Tokyo), see www.sumimasen.com/yoyogi_chapters/, and on Sakuragicho International Literacy Cooperative, contact Andrea McCarthy at silc.english@yahoo.com.